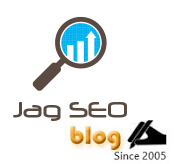 SEO is very much important for Programmers working in Web Development and Promotion Company. This article will teach some technique and tactics for programmers. Make Search Engine Friendly URLs by using Mod_write in php, this will look like a static page giving keywords as page names and SEO Shopping Carts should be made for eCommerce website. HTML Includes can be introduced for replacing JS file in asp pages for making navigation links search engine friendly. CSS Programming for drop downs list should be done to avoid java script.